Sat., Aug. 18, 2018, 10:06 p.m.
VANCOUVER, B.C. 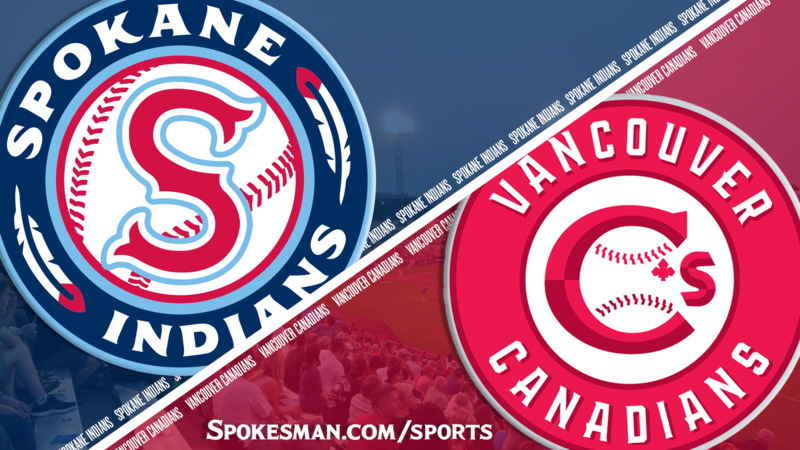 – The Spokane Indians saw more than enough of Christopher Bec on Saturday night. Bec, Vancouver’s designated hitter, drove in runs during the first, fifth and seventh innings to guide the Canadians’ 4-0 victory over Spokane in the middle game of a key three-game series at Nat Bailey Stadium. With the win, the Canadians (14-9) broke a first-place tie with the Indians (13-10) in the Northwest League’s North Division second-half standings. The second-half champion will meet first-half champ Everett in the divisional playoffs. The season is down to 15 games. Bec’s big night started with a run-scoring single to center field in the first off Scott Engler (2-6). Bec drew a bases-loaded walk in the fifth to extend the lead to 2-0. In the seventh, with Vancouver leading 3-0, Bec hit a solo homer to left, his third of the season, off Werner Leal. Canadian starter Randy Pondler (4-4) worked five shutout innings, allowing four hits, striking out six and walking none. Joey Pulido and Connor Law followed, checking the Indians on one single the rest of the way. Engler allowed five hits and two earned runs in 4 2/3 innings. Spokane didn’t have an extra-base hit. The Indians are in the midst of a six-game road trip. Spokane will begin a five-game home series against Salem-Keizer on Thursday. Vancouver and Spokane will also meet in a three-game series in Spokane to cap the regular season. Published: Aug. 18, 2018, 10:06 p.m.